Avani Hotels & Resorts has expanded its portfolio in Thailand with the launch of Avani+ Samui, an upscale resort situated on Phang Ka Bay near Taling Ngam. Global Hotel Alliance is the world’s largest alliance of independent hotel brands, bringing together 33 brands with over 550 hotels in 77 countries. In the final stages of development and scheduled to open in the first quarter of 2019, Avani Central Busan Hotel has an ideal location in Busan’s city centre. Minor Hotels has announced the appointment of Ramine Behnam as vice president development for Europe, Middle East and Africa. A French national, Behnam is also fluent in English, Arabic and Spanish and is based at Minor Hotels’ regional office in Dubai. Minor International has struck a deal with Oceanwood Capital Management to acquire a 5.7 per cent shareholding in NH Hotel Group. Anantara Hotels & Resorts has announced plans to diversify its portfolio in China by launching the first luxury global hotel brand in the Qingyang district of Chengdu. Tivoli Hotels & Resorts has revealed plans for a property in the Alentejo region of Portugal in the historic city of Évora, joining the brand’s other hotels in Portugal, Brazil and Qatar. Minor International has reached an agreement with HNA Group to purchase an equity stake of 25.2 per cent (on a fully-diluted basis) in NH Hotel Group in a two-tranche transaction valued at €619 million. Minor International has reached agreement to acquire 30,000,000 shares in NH Hotel Group in a transaction valued at €192 million. Together with its existing shareholding, the deal will increase Minor’s stake in NH Hotel Group to 8.6 per cent on a fully diluted basis. Avani Hotels & Resorts has appointed travel and lifestyle specialist PR agency GribbonBerry to handle communications for the UK media market with immediate effect. 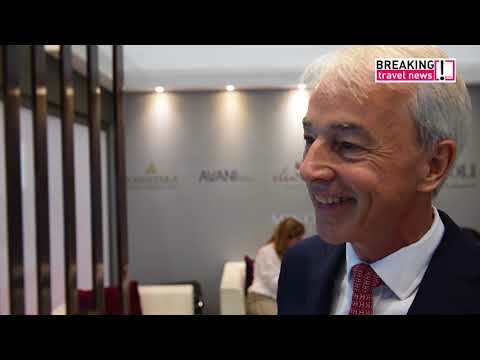 Breaking Travel News chats with Michael Marshall, chief commercial officer, Minor Hotels as the Thai-based group signs for its third Avani property in Dubai. With new hotels also opening in Tunisia and Lebanon there is plenty to discuss at Arabian Travel Market 2018. Avani Hotels & Resorts has revealed a new addition to its growing pipeline with the signing of Avani Hotel Suites & Branded Residences, currently being developed in Dubai by Alfahim.